Gov. Greg Abbott on May 22, 2018 at the first of three roundtable discussions on school shootings in Texas. 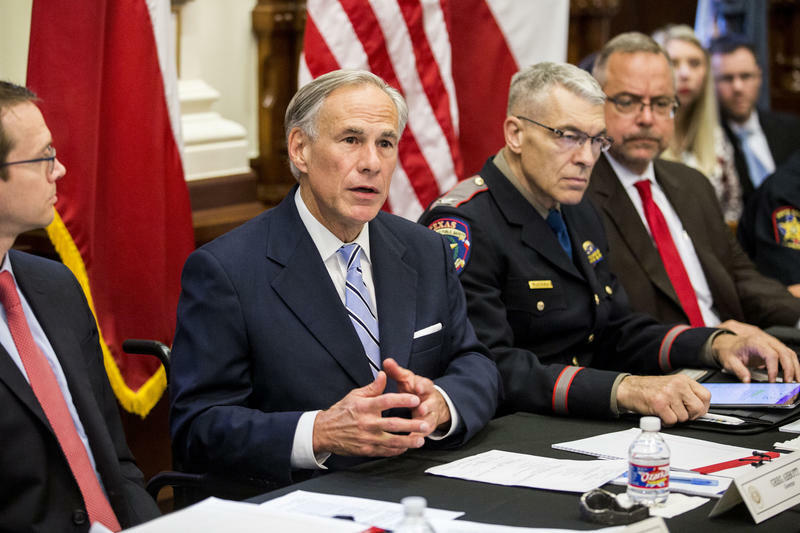 Abbott’s blueprint suggests reducing school exits, increasing the use of metal detectors, expanding the state’s school marshal program – which allows school staff to carry concealed firearms – and creating an alert system that’s tailored specifically to active-shooter situations. The governor said his plan would increase the number of possible school marshals at any given school and could provide funding to train them as soon as this summer. He recommended increasing law enforcement presence on campuses by using $62 million in additional federal funding. Abbott also emphasized expanding mental health services. He highlighted a Texas Tech University program that monitors social media for possibly dangerous students to connect them with mental health and counseling programs. Abbott said today he’d like to see the program, known as TWITR, expanded across Texas with up to $20 million in state money. 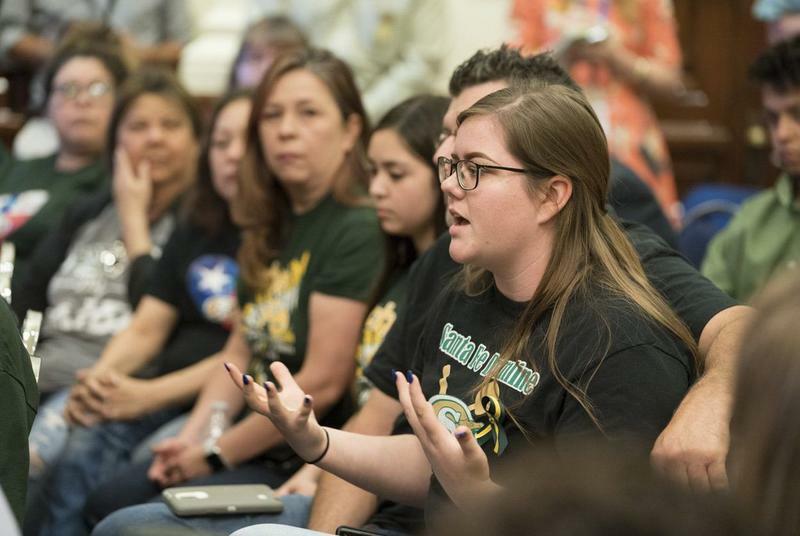 While the plan was light on any gun control policy suggestions, Abbott did suggest state lawmakers tweak the state’s safe storage law, which currently wouldn’t apply to the parents of the Santa Fe suspect, who allegedly used his father’s guns in the shooting. The law defines a child as anyone under the age of 16, meaning the 17-year-old suspect's parents couldn’t be held liable for improperly storing the firearms. Abbott said he would like the Legislature to raise that age to 18. 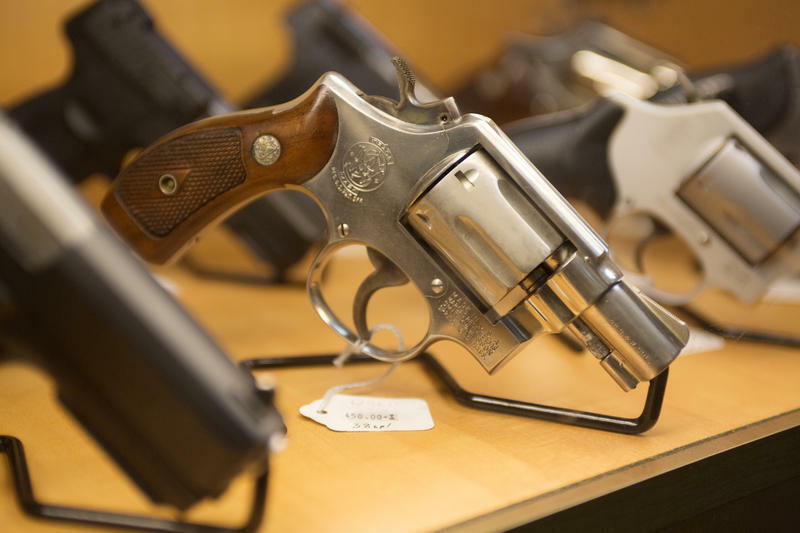 He also suggested lawmakers change state law to require reporting of lost or stolen guns and bolster restrictions on firearms for those deemed dangerous or mentally unfit by a court. He added that he would support a program to promote safe gun storage that could provide 100,000 gunlocks for Texans – but that he wouldn’t support laws requiring mandatory storage. “I can assure you, I will never allow Second Amendment rights to be infringed," Abbott said, "but I will always promote responsible gun ownership, and that includes keeping guns safe and keeping them out of the hands of criminals." Abbott said the plan was a “starting point” for lawmakers and school officials, but that he wouldn’t likely call a special session of the Legislature to address school shootings. Lt. Gov. Dan Patrick, who joined Abbott in Dallas and later at an event in San Marcos, said he was grateful for the governor's "rapid response" following the Santa Fe shooting. He announced the appointment of a Senate committee to work on security issues requested in the plan. Speaker Joe Straus also announced that a House panel would study a potential "red flag" law, allowing family members and law enforcement to seek a court order to restrict gun access to those who exhibit signs that they are a danger to themselves or others. Read the full plan below. 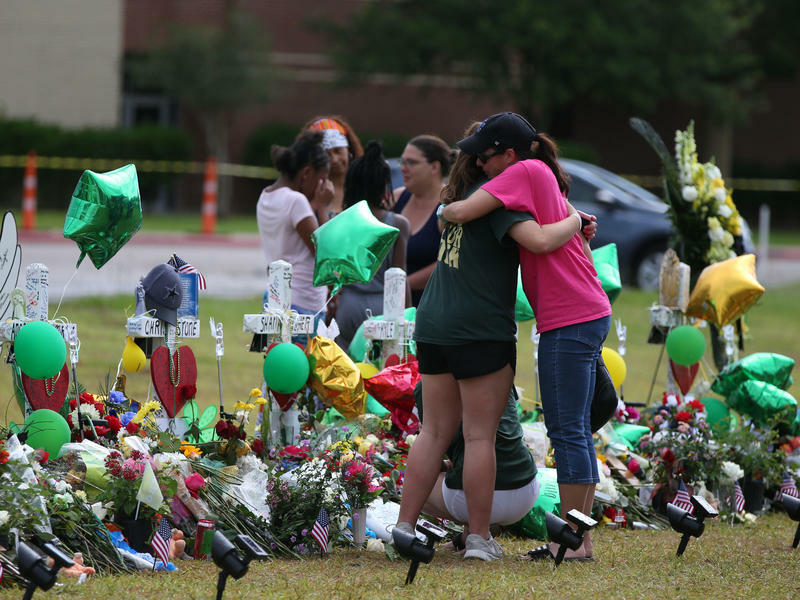 Could The Santa Fe High School Suspect's Father Be Charged For Not Locking Up His Guns?